The Carrick Neill Scottish Men’s Open Championship, one of the world’s most prestigious men’s amateur events, will break exciting new ground with its debut over the iconic King’s Course at Gleneagles from 27th – 29th August. The Scottish Golf organised event, will see 144 players from across the globe take part, including the current WAGR number 10, Irish golfer Robin Dawson, as well as Kilmarnock Barassie’s Euan Walker, the highest WAGR ranked Scot in the field. Hoping to continue his winning form, Turnhouse Golf Club’s Euan MacIntosh is also taking part following his 3-in-a-row victories at the Scottish Men’s Amateur Championship, Amateur Champion Gold Medal and the North East Open Amateur Stroke Play Championship. The 72 hole stroke play competition, first contested in 1967 is widely considered the one of the world’s most recognised men’s amateur stroke play championships and regularly attracts an array of top amateur’s from around the world, hoping to join the impressive list of previous winners including last year’s champion Liam Johnston, now competing on the Challenge Tour, Ryder Cup star Stephen Gallacher and 2017 Race to Dubai winner Tommy Fleetwood. 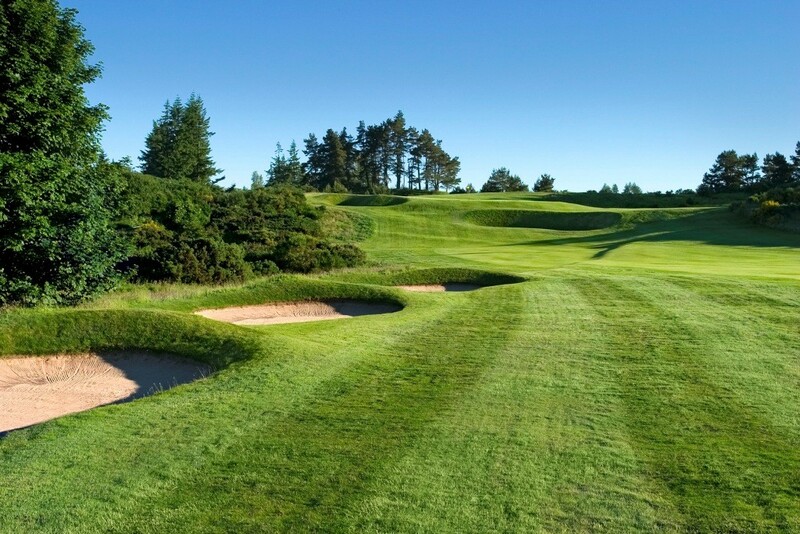 Following Gleneagles hosting the inaugural European Golf Team Championships earlier this month and ahead of the 2019 Solheim Cup, the Carrick Neill Scottish Men’s Open Championship adds to the five-star Perthshire estate impressive event history across both the amateur and professional games. Later this month, the Queen’s Course at Gleneagles will also play host to the PING Scottish Mixed Championship Final, a free to enter event for club members, highlighting Scottish Golf’s commitment to taking events for all ages and abilities to the top venues across the country. “Scottish Golf is thrilled to be bringing one of our most prestigious events to the Kings Course at Gleneagles, one of Scotland’s most iconic and globally recognisable venues. With many of the top amateurs in the world competing next week, this is set to be a fantastic event for competitors and spectators alike. “We’re also pleased to be able to be able to provide a fitting stage to showcase some of the best Scottish and international golfing talent, all aiming to follow in the footsteps of golfing legends and win a National title over the world renowned, King’s Course. Carrick Neil is recognised as one of the UK’s leading providers of golf insurance for both clubs and golfers alike, as well as being Scottish Golf official insurance partner. The company has a long-standing relationship with amateur golf and is celebrating their 8th year as official sponsors of the Scottish Men’s Open Championship.